Hub is the Vineyard Churches (UK & Ireland) leadership training programme, which happens in multiple locations around the UK and Ireland. 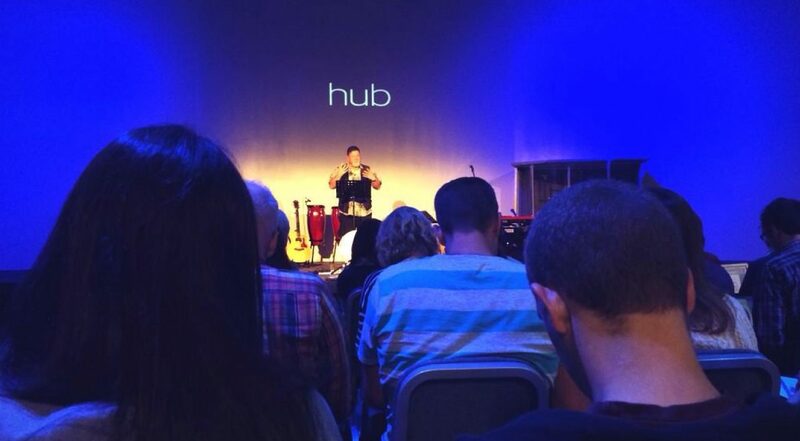 Hub is designed to resource our vision by training pioneering leaders and church planters. Hub is for highly motivated, self-starting people who aspire to excellence in leadership and are exploring a life call to ministry. We have over 20 Hub locations around the UK and Ireland. If you have any questions please email the Hub Team. Based around a three year curriculum, the aim of Hub is to train those who feel called to lifelong ministry, whether on church staff or in a voluntary capacity. Once you have applied to your local Hub centre, training will take place one evening per month and one day a term, with additional training happening through your local church. The aim of Hub training is: 1. To provide education and training. 2. To offer experience of pioneering ministry and leadership. 3. To develop the relevant skills, applicable to a wide range of church-planting and leadership settings. A Hub session would include excellent pre-recorded teaching with clear learning outcomes and facilitated group discussion during the evening. You’d reflect on what you’re learning then apply that to your leadership during the following month. Hub and the curriculum is focused on the essential characteristics of a pioneering leader. 1. Vision and calling 2. Communication 3. Gathering and evangelism 4. Spiritual and emotional capacity 5. Leadership and multiplication. Hub is free to students recommended by their Senior Pastors and is financed by Vineyard Churches and the Hosting Churches. We are grateful for this investment and so expect the highest commitment from our students as they invest and develop ministry skills in their local churches. There will be additional costs to attend Hub Intensive Days. As well as the core Hub training, there is also Hub+. Hub+ builds on the practical training and ministry experience of Hub by adding theological study through a partnership with the Vineyard Institute. This runs in parallel with the Hub sessions and is essential resourcing for those called to plant a Church or join a senior leadership team.